California Chrome wins the 2014 Preakness Stakes and is one step closer to Triple Crown Victory: The 2014 Preakness Stakes brought on a lot of excitement with race horse California Chrome, also known as the “people’s horse” winning the stakes and is well on his way in attempting to be the 12th horse to win the Triple Crown since 1978. 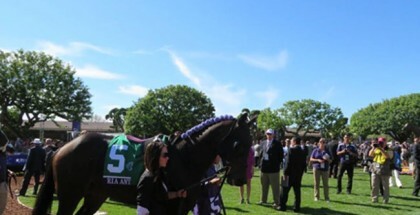 The race was held in Baltimore at Pimlico Race Track and it is the second jewel in the Triple Crown. 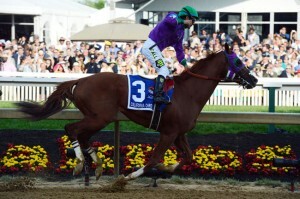 California Chrome will enter the Belmont Stakes in June and hope to finish out his task of being a Triple Crown winner. California Chrome and jockey Victor Espinoza win the Preakness Stakes on Saturday, May 17, 2014 and make their way down the Triple Crown Trail. Coming into the 2014 Preakness Stakes, California Chrome was the 3/5 favorite after winning the 2014 Kentucky Derby. The Preakness was 1 3/16 miles. California Chrome had a good start and started to charge forward at the three quarter mark. 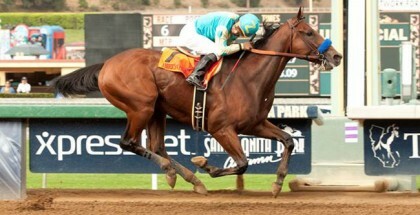 He pulled ahead of Social Inclusion and took the win. California Chrome posted a time of 1:54.84, which is actually the fastest time since race horse Curlin in 2007. 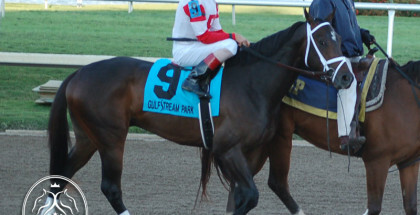 Interestingly, Ride On Curlin, the offspring of Curlin, came in second place at the Preakness stakes and then Social Inclusion came in third place. California Chrome is the fifth California bred horse to have won the Preakness. Snow Chief was the first horse hailing from California to win the Preakness Stakes, which was in 1986. California Chrome also made history at this year’s Kentucky Derby as the first California bred horse to win that race since 1962. California Chrome is a crowd favorite and is certainly setting himself up for a real chance at a Triple Crown victory. It certainly did work out perfect for California Chrome and team, and surely excitement will continue to mount approaching the last jewel of the Triple Crown as California Chrome heads to New York for the Belmont Stakes at Belmont Park on June 7, 2014.